The number of people it takes to keep the finance wheel in continuous motion can vary widely from organization to organization. But when you calculate the ratio of finance team members per $1 billion in revenue, then compare that figure across multiple organizations in multiple industries, the relative productivity of a finance team becomes clearer. For this month’s metric, we examined the number of finance function full-time equivalent employees (FTEs) per $1 billion in revenue, as reported by 1,784 business entities to APQC’s Finance Organization Open Standards Benchmarking® survey. This metric breaks down the number of FTEs needed to perform finance processes, normalized by $1 billion in revenue. The 25% of organizations considered the best performers on this metric reported 36 or fewer FTEs performing finance processes for each $1 billion in revenue. 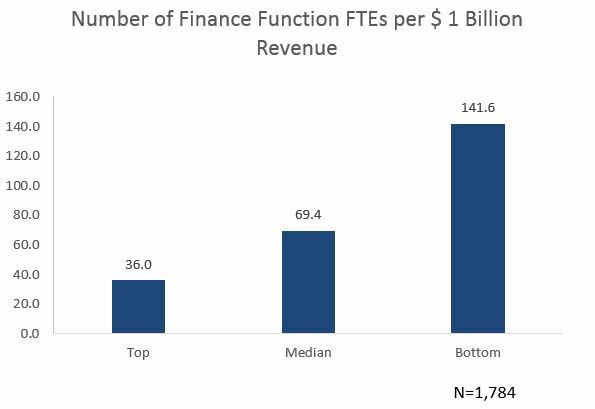 Among the bottom 25%, at least 141.6 FTEs are necessary for every $1 billion in revenue — nearly four times as many FTEs as the top performers. At the median are the organizations that employ 69.4 finance FTEs per $1 billion in revenue. According to APQC finance benchmarking data, personnel expenses are the largest cost category within the finance function, accounting for about 56% of the average cost of running a finance operation. What does that personnel cost really pay for? About 56% of the typical finance function effort at bottom-performer companies is devoted to transaction processing of things like payables and remittances, according to the same survey. Technology and automation have enabled finance organizations to spend less time on tedious transactional activity, allowing them to shift more of their resources toward decision support and other high-value, strategic work. New process automation capabilities help companies ensure that every FTE’s time is spent wisely. Automation of payables and receivables has been available for years, and as the technology has continued to improve, businesses have more software vendors and price points to choose from. Cloud computing has removed the barriers to automation, making it affordable for organizations of any size to automate processes from AP and AR to expense and time reporting. You don’t need a big IT department to take advantage of these cloud-based tools, which are offered like an a la carte utility and managed by the vendor. But automation isn’t the end of improvement efforts; it’s actually just the beginning. Streamlining processes ensures that finance FTEs are using systems and tools effectively and focusing their time where it matters most. 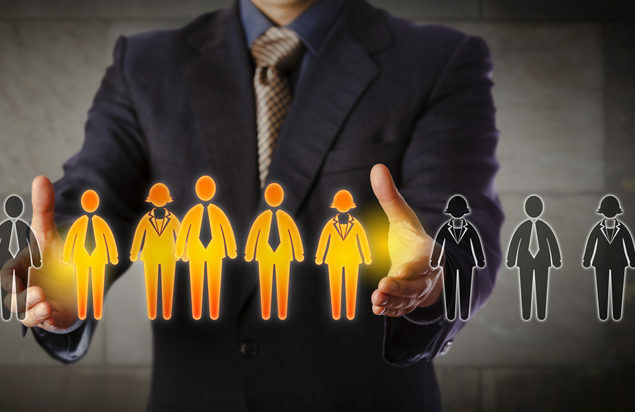 Taking a hard look at the allocation of work within the finance function can also reveal gaps and inefficiencies in use of talent that can be corrected. For example, Cargill, the largest privately held company in the United States (based on revenue), is leveraging several process improvement tools to transform its finance function into a global process organization focused on continuous improvement. Finance global process owners use Six Sigma, Kaizen, and Lean management principles to continuously reduce waste in processes. Cargill has embarked on establishing a global finance platform using an Agile team structure to create one overarching finance solution leveraging SAP Central Finance. Other technologies in use include robotic process automation and optical character recognition (OCR) to automate cash applications. Such efforts have helped Cargill move from 30% automation of finance activities to about 80% automation in many regions. Because automation decreases the number of tasks employees must perform and the number of employees needed to get the work done, existing FTEs are freed to focus on the work that requires the most brainpower. Ultimately, it comes down to FTE performance, or using your people wisely. Automation and process improvement both increase employee performance in all areas of the finance function, helping a CFO better allocate resources and reduce the need for a surplus of finance employees focused on transactional tasks. Perry D. Wiggins, CPA, is CFO, secretary, and treasurer for APQC, a nonprofit benchmarking and best practices research organization based in Houston, Texas.